For a makeup beginner, it can be difficult to understand and get the right makeup brushes suited for you. Makeup gurus also need to master their way around these brushes. It is also good practice if a person knows exactly how to use these many different brushes. This enables a person to get the right look for whatever occasion they are attending. Having the right makeup brush and knowing how to use them also help the person use the makeup to take care of their skin as well as their brushes. 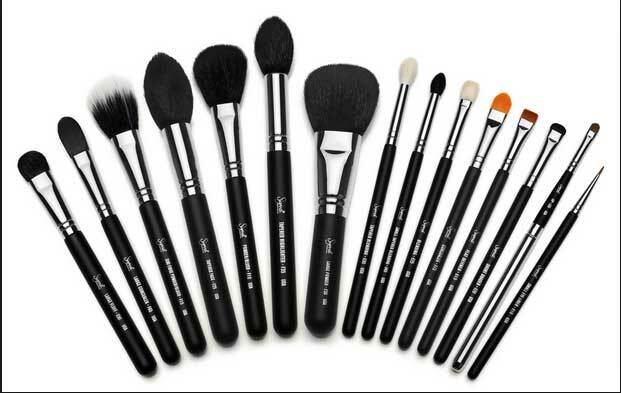 There are about ten to thirty two makeup brushes in the market. A single person does not need to own all these brushes; there are some that are mandatory to some extent. These are the ones that you need to know more about if you are not make-up artists, or do not have the need for so many. On the other hand, if you thrive on make-up, and would love to know all there is about makeup, or if you are a makeup artists, knowledge of most if not all of these brushes should be at your fingertips. About twelve of these are more popular. With these many brushes available, one needs to know how to choose the right makeup brushes. High quality brushes are worth their price. Good quality brushes have the ability to last for years, if well taken care of. This is a worthy investment. 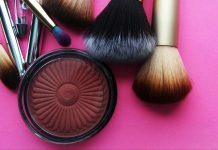 For instance, one can buy a blush brush costing about 60$ which will last them about five to seven years, depending on how they are used. Natural bristles are preferable for some applications, like the powder brush. It enables soft and an even application on the face. It is sensitive on the skin, because it contains cuticles, just like human hair. It should be noted however, that synthetic brushes can also be a good substitute for makeup application if the natural ones cannot be afforded. Dome-shaped makeup brushes are most suitable because they get one a smooth flow of makeup application. They also do not cause injury as other brushes do. If a person only needs few brushes and cannot keep up with the multiple brushes that are available, then at a minimum they should have four brushes. The four brushes being: one large powder brush, a smaller fluff/highlighter brush, an eye shadow makeup brush that is almost the size of a finger, and a small shadow blending brush. Following the above tips will enable one get the best deal for their money if followed precisely. The first step in basic make-up is applying foundation. This brush should have many bristles packed into the tip. This enables it to be used appropriately for wet makeup application. This type of brush can be synthetic in nature as it is even easier to clean it that way. The concealer brush is the second brush. Just as the foundation brush should be jam packed with bristles, so should the concealer brush. This brush should also be more pointed so as to easily target small areas that should be worked on. For easier cleaning, it can also be synthetic in nature. A duo fiber brush is used for blending the makeup on the cheeks and also to add shimmer to your eyes or cheeks. This brush is composed of both synthetic fiber bristles and natural fiber bristles. It is perfect for this job. A large, soft brush with a tip which is round should be used for powder application. Its bristles are usually more spaced out and should be able to be used for both a bronzer and a compact powder. The next brush is the blush makeup brush. It should be soft with a rounded tip and small. The reason for a rounded tip is that it does not encourage drug when being used. It is better to use natural and fine bristles for this brush. Eye brushes are usually five. Each one of them should be really soft with natural bristles. The main brush should be thinner than your eyelid and should have a pointed tip. The eye shadow brush should be angled to enable easier application. The blending brush, on the other hand should have rounded tips as well as the bristles should be sparsely populated. An eyeliner brush should be flat and straight or slightly angled to achieve e a good Smokey eye every once in a while. An eyebrow brush should be spirally in nature to enable great shape to your brow. A lip brush should have short, soft and firm bristles. They can either be natural or synthetic. Makeup brushes should be kept clean at all times to avoid transferring bacteria to the skin. There are steps in which your brushes can be made clean and there are some items that are needed before one can begin. Some of these items include the following. Run the brushes in warm water, focusing on the actual area of usage of the brush to remove loose dirt. Avoid the water getting in contact with the area where brush meets brush holder. This will loosen the bristles at a faster rate and make them fall off. Fill the bowl with warm water and a little shampoo. Gently swirl the brush in the mixture to clean up the rest of the dirt. Use the warm running water to rinse off the brush. Repeat the above steps until the brushes are clean. Wipe the brushes using one of the clothes at the same time; reshape the brush using that piece of cloth. Use the other piece of clothing to dry the brushes by lying them flat on the cloth. It’s a good tip, to use warm water to clean the brushes, it’s more efficient and would kill more bacteria! I will use this tip very soon! I have to wash some brushes soon! Hope you have a very nice day! Such a detailed and helpful post ? ?